How to make yummy meatballs or as some say polpette! Mix the pork, breadcrumbs, chopped onion and sage together. Season with salt and pepper. Add the egg and combine well. Heat the oil in a deep pan and gently fry the garlic, without browning, add the tinned tomatoes a pinch of salt, a tsp of sugar and some pepper. Simmer for 10- 15 minutes. Use a desert spoon to scoop the meat mixture up. Roll into golf ball sized meatballs. 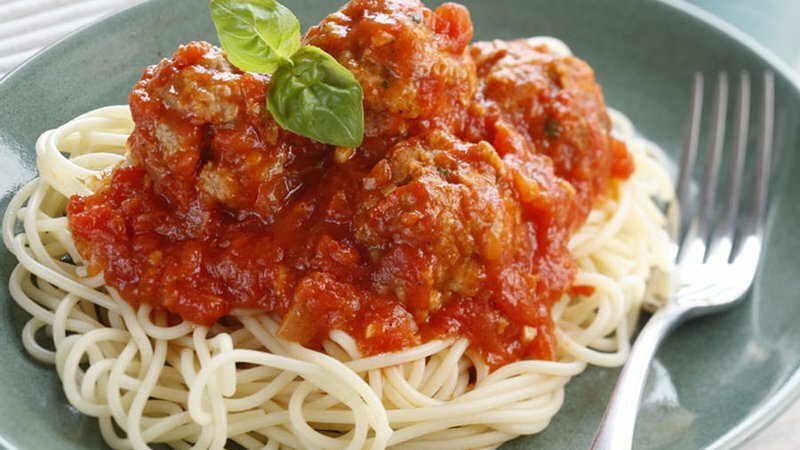 Gently place each meatball into the sauce using a spoon to ensure they are covered in sauce. Continue to cook over a medium heat for another 15 minutes until the meatballs are cooked through. Serve with pasta or rice and a green salad.